Netflix has been at the forefront of streaming media since it first began offering video-on-demand services a decade ago. It quickly became a must-have service thanks to its ever-growing library of movie favorites, television shows, and original content. While the platform is available in over 130 countries around the world, that doesn’t mean that everyone gets to enjoy the same content. Netflix is still blocked in many locations. Furthermore, the library of content that’s available to stream varies from country to country. Geographic restrictions are in place due to outdated copyright laws. This deprives many dedicated Netflix users of some of the best movies and shows that the service has to offer. Luckily, there are ways to get around blocks and restrictions. VPNs, or virtual private networks, make it possible to circumvent restrictions by encrypting your data and hiding your location. Essentially, it makes the websites you visit think you’re located in an entirely different country. While this may seem simple enough, not all VPN services are made the same. Not only that, but Netflix goes out of its way to prevent as many VPNs from accessing their servers as possible. In fact, it’s not uncommon for some VPNs to provide access one day, but be blocked by Netflix the next. To help you on your journey to unrestricted streaming bliss, we’ve compiled a list of some of the best VPNs that allow you to access Netflix. Disclosure: This page contains affiliate links. This means if you click through on one of my links and make a purchase, I may receive a commission. This helps me to keep makeawebsitehub.com free to use for millions of people all around the world. What Makes a Good Netflix VPN? If you want to unblock Netflix for uninterrupted streaming, you’re going to need a solid VPN with plenty of high-quality features. Not all VPNs offer the same level of quality. The performance, capabilities, and convenience of VPN service providers may vary dramatically. To ensure that your money doesn’t go to waste, there are a number of things to look for when you’re choosing a service. Netflix is a bandwidth-heavy streaming service. Sure, you can still access the platform on slower speeds, but nobody wants to watch a blurry TV show. The higher the speeds of your VPN, the better. At the very minimum, a Netflix VPN should be able to provide you with 3,000 Kbps. This will produce a standard-quality resolution. If you want high-definition, you’ll need at least 5,000 Kbps. Do you want 4K ultra high-definition picture quality? You’ll need to have a VPN that can give you at least 25,000 Kbps. These figures should be a key consideration when you’re choosing a VPN service provider. Truth is, the data requirements of Netflix alone eliminates quite a bit of VPNs from the running already. Most just aren’t capable of providing those speeds. Even the fastest VPN is going to be useless if it doesn’t provide a constant connection. With any streaming service, data is sent from the main server, through the VPN, and to your computer continuously. Even minor interruptions can result in poor video quality and constant buffering. There’s no doubt that Netflix is best-enjoyed on the big screen. This can prove to be a huge issue with many VPNs, as most are only designed to be used on a computer. If you want to stream to your television, smartphone, or tablet, you’re going to need a VPN that supports it. 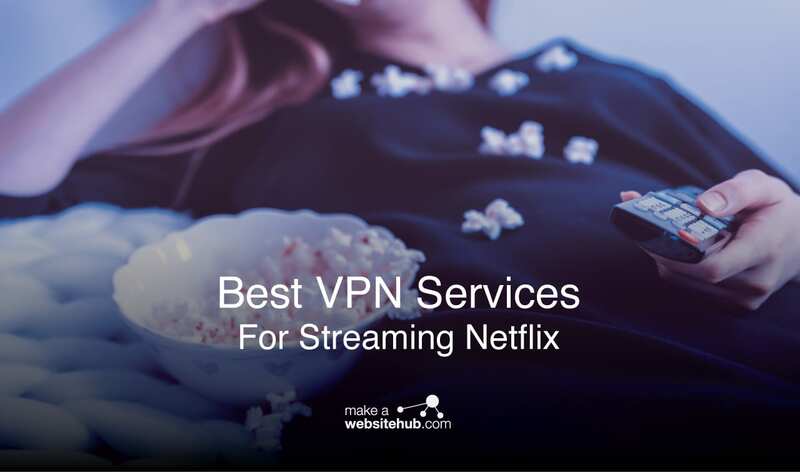 Luckily, some of the biggest VPN providers have a selection of applications that let you access the Netflix servers on the device of your choosing. At the end of the day, you’re going to be paying for your VPN service. Having a dedicated support team to help you through issues is important. If you experience downtime or server problems, you’ll want to be able to get in touch with someone that can find a solution. While most VPNs do have some form of technical support, you might find that some providers have a less-than-stellar customer support department. To ensure that you can always contact someone, choose a VPN that has multiple contact methods, such as email, live chat, and telephone lines. 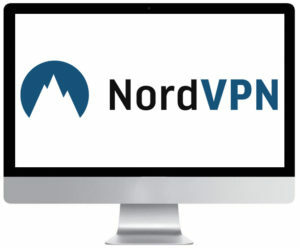 NordVPN is one of the most affordable and reliable VPN service providers out there. While it is great for any type of secure browsing, it has earned a reputation for its solid performance with Netflix streaming. You can easily access US servers, Canadian Servers, and Netflix servers from a host of other countries. This gives you truly endless possibilities on what to watch. Best of all, the company lets you know which servers are working with Netflix at any given moment. Instead of trying multiple servers until you find the right one, NordVPN guides you in the right direction straight away. NordVPN is based in Panama and has over 5,000 servers across the globe. They’ve been in the business for a decade. As a result, the company has perfected its services. In addition to providing you with Netflix access, NordVPN offers many additional perks to keep you and your information safe. It has a built-in ad blocking system, military-grade encryption to keep your data and IP address cloaked, and obfuscated servers to ensure that no one knows you’re using a VPN. Speeds depend entirely on the server you choose. Some are fast enough for 4K streaming while others tend to chug along. While this can be a bit frustrating at first, you can quickly learn which servers are best for your streaming needs. NordVPN is a very affordable option as well. They currently offer a 3-year plan that only costs $2.99 per month. one-year and two-year plans cost $6.99 per month and $3.99 per month, respectively. If you just want to give it a try, you can also go month-to-month with no commitment for $11.95 a month. With over 3,000 server locations in 94 countries, including France, Germany, and Italy, ExpressVPN is an excellent choice for reliable Netflix streaming. The service provider offers some of the fastest speeds around. Not only that, but they provide users with unlimited bandwidth. This means that you can stream to your heart’s content without having to worry about throttled speeds once you reach a certain data threshold. The company is based in the British Virgin Islands. While many Internet users may view this as a small factoid, it actually says a lot about the provider’s security capabilities. The British Virgin Islands don’t have any data retention laws, so the provider doesn’t keep activity or connection logs. Instead, they offer protection from hacking and surveillance with robust data encryption. Another great feature of ExpressVPN is its numerous applications. You can access the service through apps for your phone, smart TV, gaming console, and more. Every app is designed to be simple. If you do have an issue with ExpressVPN, you can contact their support team. The live chat function is available around the clock. There’s also numerous troubleshooting guides, set-up instructions, and support database to help you find quick answers to your questions. 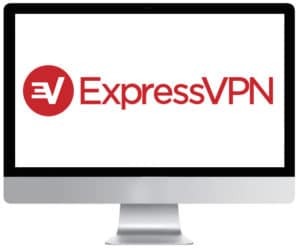 ExpressVPN offers three different plans. If you want to pay monthly, it’ll cost you $12.95 per month. However, you can also subscribe to six-month and year-long plans. The six-month plan costs $9.99 per month while the year plan will set you back $8.32 each month. Of course, the company also provides a 30-day satisfaction guarantee. LiquidVPN has its main goal advertised right on their homepage. They’re dedicated to unblocking region-restricted websites and services, such as Netflix. The company is based in Wyoming. However, they have servers in 11 different countries to provide you with the best streaming experience possible. In fact, LiquidVPN has over 65Gbps for their VPN connections. Each server has 16 Gbps speed, ensuring that you have all the power you need to stream crisp, ultra-HD videos without any issues. You won’t have to worry about buffering or throttling thanks to the company’s unlimited bandwidth policies. Another great feature is the different topologies. They offer three different types of VPN connections, allowing you to choose an option that’s right for your particular needs. You can even switch between these connections in an instant. Pricing for LiquidVPN differs a bit from previous options. They have three different plans that can be paid for on a monthly or annual basis. The SideKick plan includes two devices and 564 IPs. It costs $7.00 per month, or $4.75 per month when paid annually. The Road Warrior plan includes all 2,168 Ips and four devices. It costs $10.00 per month of $5.75 per month annually. Finally, there’s the Ultimate plan. For $18.00 per month, or $8.83 per month annually, you can connect up to eight devices. Privacy and freedom is the name of the game for VPNArea. This Bulgarian VPN service provider has fast speeds with no bandwidth limitations whatsoever. The company’s VPN servers are located in 70 different countries, ensuring that you can connect to Netflix no matter where you are. The unique thing about VPNArea is that they have server hubs that are dedicated to Netflix use only. Not only does this make it easier to find a reliable server to stream content on, but it also ensures that you can do so without any interruptions. Each server has approximately 1 Gbps of speed. This is more than enough to handle 4K content without missing a beat. The high-speed virtual network can be used by up to six devices on a single account. The provider has applications for Windows, MacOS, iOS, Android, and Linux. Each one is easy to set up and connect. If you’re worried about safety as you stream, you can rest easy knowing that VPNArea has you covered. They have a zero logs policy. IP addresses are shared by multiple users, further masking your identity. The service also includes built-in ad-blocking and malware protection for an extra touch of security. There are three plans to choose from. For a one-month subscription, it costs $9.99. However, if you choose to pay for a year up front, it will only cost $4.92 each month. For three years, the price is even lower at $2.99 per month. SurfShark is an affordable VPN service that’s dedicated to breaking down borders in terms of restricted Netflix access. The service includes an intuitive NoBorders mode. With a press of a button, you can access blocked sites and services without any issues. They’re based in the British Virgin Islands. The company does not track you at all. They don’t have a logs policy either, so you can browse confidently. The service provider has over 500 servers that are engineered to provide you with reliable speeds. It can easily access Netflix servers from the US, Canada, the UK, and more. Advanced security protocols are used to ensure that your data and identity are protected at all times. You can take advantage of the service’s advanced encryption, kill switch, ad blockers, and more. SurfShark is very generous when it comes to pricing and accessibility. Each plan can be used on as many devices as you want. They have user-friendly applications for many devices. They even have extensions for Chrome and Firefox. While the apps for Windows and Android are quite reliable, the company has been very transparent on working out the kinks in the iOS and MacOS versions. Three plans are available. The most affordable costs $1.99 per month, paid every two years. For an annual subscription, the service costs $5.99 per month. If you want to pay monthly, it will cost $11.95 a month. Headquartered in Stockholm, PrivateVPN is a simple VPN service that’s catered to streamers. The company has a dedicated VPN just for Netflix alone. It lets international users gain access to the entire US Netflix library. If you’re already in the US, you can unblock the servers from Canada, the UK, and many other locations. The service also makes it possible to use your own Netflix account for a seamless streaming experience. PrivateVPN has over 100 servers in 60 countries. Server locations include Japan, Greece, the Philippines, and so much more. Their large server network makes it easy to stay anonymous no matter where you’re streaming from. To ensure that your videos are uninterrupted, PrivateVPN doesn’t have any bandwidth or speed limitations. The company also doesn’t collect logs. If you need help accessing Netflix, the company has a responsive support team and an easy-to-use ticket system. Accessing this service is relatively affordable. Monthly rates are only $7.01 for one month of service. For three months, it costs $4.01. The most affordable plan costs $3.32 a month for 13 months. VyprVPN is a reliable VPN service that’s great for Netflix streaming. While many people use it to connect to Netflix servers in the US and abroad, it’s also a great option for Amazon Prime, Hulu, and other streaming platforms. What makes VyprVPN so great is its simplicity. The apps are sleek, easy to set up, and very intuitive. Applications are available for a wide range of devices, so you can easily stream on your television or mobile device. The VPN service provider is also independently owned. This helps to make the service more reliable. The company owns every server and piece of hardware. Each one is independently audited for safety and security as well. Many security protocols are used to protect your identity and prevent hackers from accessing your data. This includes obfuscated servers to mask the fact that you’re using a proxy. While they do have connection logs, those logs are automatically deleted after 30 days for your peace of mind. Plans are currently available in three tiers. These include one month, one year, and two years. For one-month billing, the service costs $11.99 every month. For one year, it costs $4.37 per month. If you go with the two-year plan, you’re only going to pay $3.75. 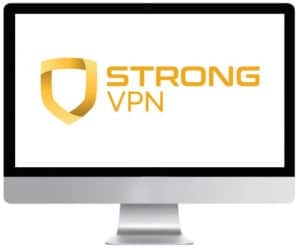 StrongVPN is based in California. While the company originally started out selling computers to consumers, they shifted their focus to VPN services and never looked back. Today, they’re one of the most prominent VPN figures because they have over 650 servers in countries around the world. The service is great for accessing Netflix servers in the US, Canada, and beyond. StrongVPN doesn’t throttle speeds, so you can enjoy crisp video quality no matter where you are in the world. When it comes to privacy and security, StrongVPN has you covered. They don’t have a logging system to track what you do or when you connect. The company utilizes multiple encryption and safety protocols. They even let you establish up to 12 different connections all at one time to mask your online activity even further. To ensure that you have the best streaming experience possible, the service can also find the right server for your needs based on your location. StrongVPN offers 24-hour customer support. Their support section features a dedicated help search, frequently asked questions, and troubleshooting guides. If you need to get personalized help, you can send a support ticket directly from the website. There are two plans. Monthly plans cost $10.00 a month while one-year plans cut those costs down to $5.83 per month. With its quirky website design and intuitive applications, VPN.ht is designed with simplicity in mind. It’s a great option for novice VPN users or seasoned pros who want light software with no complicated setup process. 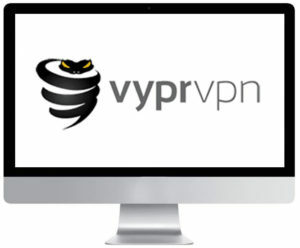 The focus of this VPN service provider is to provide you with as much privacy as possible while giving you the tools to stream restricted content. The platform only takes a few minutes to set up. From there, you can access Netflix, Amazon Prime, BBC iPlayer, and many other streaming services. The service includes applications for a wide range of devices, letting you enjoy Netflix content the way you want. VPN.ht excels when it comes to speed and reliability. The company does not slow down streaming speeds the more you use it. It’s free of bandwidth limitations as well, so you can stream as much Netflix as you want. If you do come across an issue, the company offers remote support and a 30-day money-back guarantee. To see if it’s right for you, they also offer your first month of service for only $1.00. After that, monthly fees amount to $4.99. That is, however, unless you choose to get billed annually. Then, it’s only $3.33 a month. While those VPN services are suitable for streaming Netflix regardless of geographic borders, they’re rarer than you might think. Most VPNs aren’t capable of unblocking Netflix. The streaming giant constantly adapts to changes within the VPN world. They have blocked most VPNs from gaining access. Attempting to stream a title on one of these VPNs will produce dreaded “proxy error” page. Even if a VPN hasn’t been actively blocked by Netflix, most just don’t have the capability to handle that type of traffic. As we mentioned earlier, Netflix is a service that relies heavily on high speeds and a lot of bandwidth. Here’s a list of some of the VPNs that cannot unblock Netflix. Typically, free VPNs aren’t capable of unblocking Netflix. You may have noticed that the previous list of VPNs is comprised of many free services. Because these options are available at no direct cost to you, they’re typically stripped of many key features. This includes high speeds, large bandwidth allotments, and overall server upkeep. Even if a free VPN could unblock a Netflix server, it probably couldn’t provide you with the smooth and uninterrupted performance you would need to enjoy the content. Generally, you should avoid free services when your main focus is unblocking Netflix. Not only are they a waste of time, but they could also put your privacy and security at risk. To offset the costs of running the VPN, the free service company may sell your information for profit. They may be selling your connection logs or personal information to marketing agents, effectively making you a target for ads and spam. It defeats the purpose of having a VPN at all. Once you find a suitable Netflix VPN, accessing a new library of content couldn’t be easier. Just follow these simple steps to get started. Quality VPN companies will provide you with a large selection of apps to use. They’re designed to work with specific operating systems, mobile platforms, and TV peripherals. If you plan on using the VPN on your computer, simply download the installer and run it. For mobile devices, gaming consoles, or streaming boxes, you may have to visit the VPN website on the device to start the installation process. Once the application is installed and running, simply choose a server in the location you want to access. For example, if you want to stream US Netflix content, choose a server in an American city. It’s recommended that you connect to a server that’s closest to you. This can help reduce latency and connection issues. For example, if you’re located in Japan, you should connect to a server in Los Angeles instead of New York. After the connection to the server has been established, you can log into your Netflix account like you normally would. The server will recognize your Netflix subscription and think you’re in a local area, granting access to a whole library of restricted content. What is the Streaming Error? The dreaded “Streaming Error,” or “Proxy Error” screen is something that’s all too familiar to people who have tried to watch restricted content on a bad VPN. This screen pops up when Netflix detects that you are using a VPN or piece of unblocking software. Essentially, they’re letting you know that you have been caught! This is one of the easiest ways that you can tell whether your VPN is a suitable candidate for Netflix streaming or not. A compatible VPN will not produce this screen, instead, you will be directed straight to the platform as normal. Which Netflix VPN is best? Any one of the VPNs listed above is a great option for accessing Netflix. The one that’s right for you will depend on a number of factors. Do you want to go with the cheapest option available? Are you looking to stream 4K content without interruptions? Do you value privacy above anything else? Go through each VPNs features carefully and select an option that meets your needs for Netflix and beyond. VPNs are a worthy investment outside of the streaming platform, so keep your regular browsing activities in mind and choose accordingly. Why is content restricted on Netflix? The reason why Netflix libraries vary from region to region all comes down to licensing and copyright law. The creators of your favorite movies and TV shows hold the rights to the content. They get paid each time that content is viewed. Unfortunately, the laws surroundings licensing is different across the world. A creator may have decided to make their masterpiece unavailable in a certain region due to undesirable licensing terms. Netflix’s licensing agreements also change quite regularly. It’s why some titles are removed after a certain period of time. The license on that title may have expired in one region, but not another. It’s a very complicated process. VPNs let you get around all of those headaches and enjoy content regardless of the license agreement Netflix has with the creators. Netflix started to ban VPNs back in 2016. They continue to do so today. It’s a dynamic process that changes regularly. You may notice that your favorite VPN is blocked one day, but not the next. This is because Netflix and VPN providers will go back and forth. After a VPN is banned, the VPN company will often find a way to work around the ban by using a different server or IP address. There are a few different ways that Netflix bans VPNs. The most common is to simply blacklist any visitor that’s coming from a popular provider. They can do the same with Smart DNS servers. If they notice a lot of traffic coming from a single IP address, Netflix may also block every connection coming from it. Netflix has remained quite tight-lipped about their blocking tactics, so you never know what they’re going to do next about VPNs. Will using a Netflix VPN affect my account? Generally, using a VPN won’t have any effect on your account. When you connect to the servers through a VPN, Netflix is none the wiser. The platform simply thinks that you’re in the area. The worst thing that can happen is that the service presents you with an error message. Using a great VPN service provider can open up a world of streaming opportunities. These private and secure services allow you to gain access to the streaming platform no matter where you are in the world. While it would be nice if Netflix simply made all of their titles available to users worldwide, the complexities of copyright law prevent an easy fix. As long as content creators continue to put pressure on Netflix to block titles in certain parts of the world, it’s just something that you’ll have to deal with. Luckily, the best VPN makes it easy to enjoy as much content as you want. Streaming platforms are probably the only place where small/new VPNs function best, I used Surfshark to unlock Italian Netflix while out of country and gain access to USA content too, no problems there. Mostly I use ExpressVPN because it’s time tested and I do trust their privacy protection features, but Netflix does target major VPN providers big time, so paid 1.99$/MO for Surfshark just as an alternative for streaming, cheap and effective.